As the spring/summer growing season is coming to an end, we are preparing and planning for our fall garden. Specifically we’re doing Blackeye Pea bed preparation for the fall. Our goal is always to grow food throughout the year in all seasons when possible. For this to be accomplished, one must plan ahead of time and keep the garden in workable shape at all times. We are currently in the process of pulling up spring/summer crops and preparing areas for fall planting, and I wanted to share with you how we use the Hoss Wheel Hoe to do this. 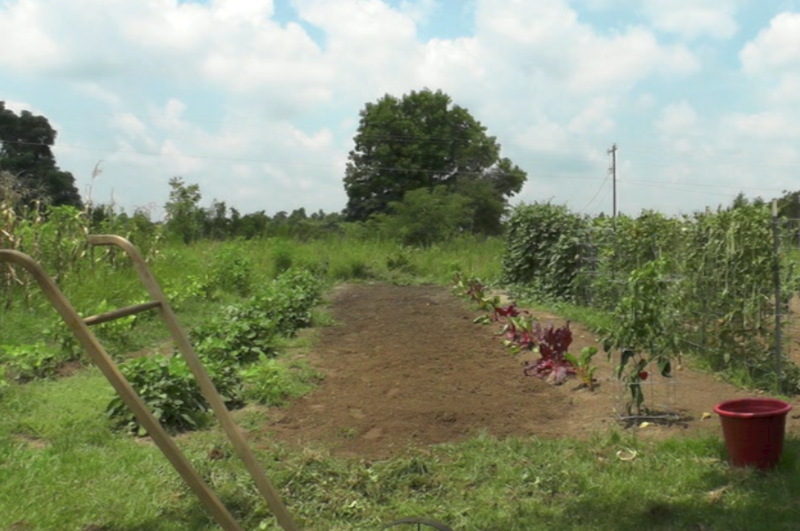 In this garden, I had Yellow Crookneck Squash planted in between our Fordhook Lima Beans (left) and Rainbow Chard (right). Over the course of the warm growing season, I was able to keep the weeds in check reasonably well. 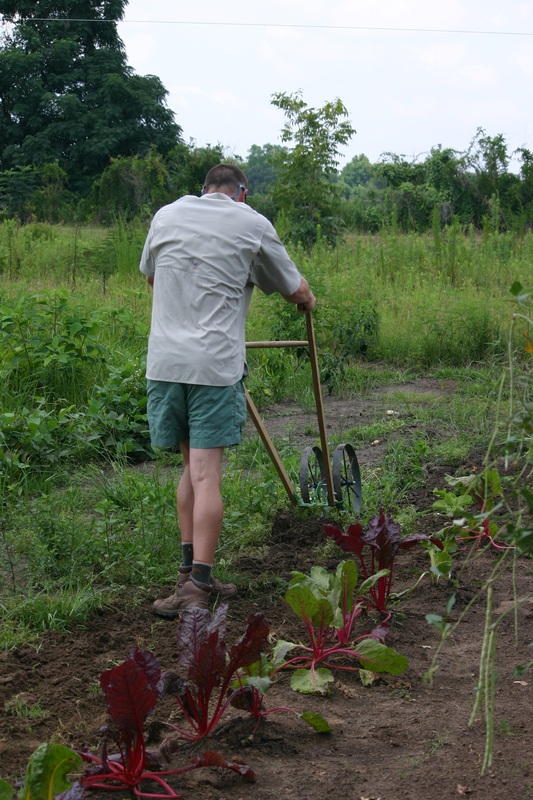 However, due to quite a bit of rain in the last few weeks, the weeds became quite thick among the squash plants. 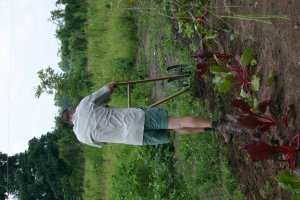 Once I pulled up the squash, there was a wide expanse of weeds that needed to be removed. preparing it for the next planting. 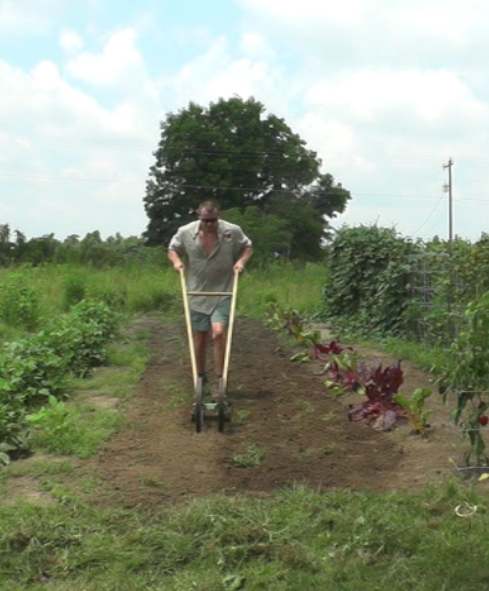 After making one pass through the plot with the Double Wheel Hoe and 12″ Oscillating Hoe, I used a fan rake to pull all of the cut weeds to the ends of the garden. The plot looked considerably better after the initial run through it. However, due to the density of weeds, especially the grassy ones, I needed to make a final quick run to get all of the weeds out of this area. After the second weed-cutting run through the plot, I used the fan rake again to rake the weeds out of the area. The plot was now free of weeds, cultivated and in great condition for planting soon. The 12″ Oscillating Hoe did a great job of cutting underneath the thick weeds, while also cultivating the area at the same time. Below is a link to the video of the Blackeye Pea bed preparation process from start to finish.